Lesser known Chinese handset maker Oukitel has been releasing the larger battery smartphones at an affordable price in range. Now, this company has announced two new devices with Infinity display with massive battery capacities which are called as Oukitel C8 and Oukitel Mix 2. This brand is planning to launch these both devices in October. Also, both smartphone prices are revealed in teaser image which shows that the Oukitel C8 would be priced at $59.99, while the Oukitel Mix 2 is a higher cost of $299.99. The Oukitel C8 smartphone is motivated by the Samsung Galaxy S8 device, while the Oukitel Mix 2 resembles the Xiaomi Mi Mix and Mi Mix 2 design regarding front. The company is claiming that it is the world’s first infinity display with a big battery. It sports a 5.5-inch HD display with 18:9 aspect ratio, which would bring a perfect visual effect while you are watching videos, editing images and more. Moreover, it has a 2.5D curved glass with the toughest screen and also used the smooth back covers with the curved frame, which provides better grip in your hand. For software, this smartphone would be running on the Android 7.0 Nougat operating system out of the box. Sensors on the smartphone include Gravity sensor, Light sensor and fingerprint sensor. It is powered by a non-removable 3,000mAh capacity battery, which would last a battery juice more than a day of normal usage. Under the hood, it is packed with a 1.3GHz MT6580 quad-core processor coupled with Mali 400 graphics and 2GB of RAM, which would give a smooth performance when you run multiple apps at the same time. There is a 16GB of native storage, which also supports an external memory via microSD card slot up to 64GB. Connectivity options include Dual SIM, Bluetooth, Wi-Fi, GPS and more. For photography, this phone offers a 13MP primary camera and has a 5MP selfie sensor. 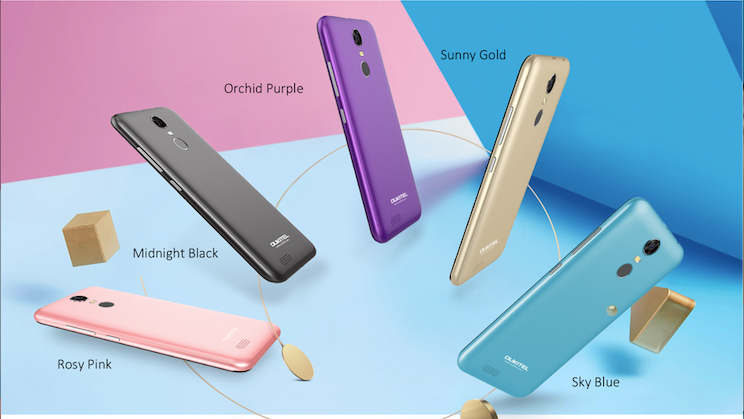 This phone will be available in five attractive colors such as Midnight Black, Sunny Gold, Rosy Pink, Sky Blue and Orchid Purple. It is a bezel-less smartphone which has a front design similar to Doogee Mix 2, Xiaomi Mi Mix and Mi Mix 2 smartphones. It would be packed with a 64GB of internal storage coupled with 6GB of RAM, which is the first 6GB RAM smartphone from the company. Also, this phone would get the larger battery than Mi Mix smartphone that is of 3,400mAh battery. According to pricing, we can say that it would be the more affordable smartphone compared to Mi Mix 2 device.